WHEN IS PRE-SHIPMENT INSPECTION REQUIRED? Pre-shipment inspections (PSI) are required when mandated by the government of the importing country. Governments assert that pre-shipment inspections ensure that the price charged by the exporter reflects the true value of the goods, prevent substandard goods from entering their country, and mitigate attempts to avoid the payment of customs duties. Angola, Bangladesh, Benin, Burkina Faso, Burundi, Cambodia, Cameroon, Central African Republic, Comoros, Republic of Congo (Brazzaville), Democratic Republic of Congo (Kinshasa), Cote d’Ivoire, Ecuador, Ethiopia, Guinea, India (see note below), Indonesia (see note below), Iran, Kenya (under review), Kuwait (see note below), Liberia, Madagascar, Malawi, Mali, Mauritania, Mexico (see note below), Mozambique, Niger, Senegal, Sierra Leone, Togo, Uzbekistan. Most countries on the list above request inspections for shipments above a certain value. However, in some instances inspections are necessary for all imported products, regardless of value. In some cases, a country may require PSIs only for certain types of goods. For example, Kuwait requires PSI for regulated products valued at more than $3,000. Mexico requires a PSI for a variety of goods such as shoes, textiles, steel, and bicycles only if they do not qualify for NAFTA. Shipments to Saudi Arabia and Kuwait must contain a "certificate of conformity" for a small number of products. Though not referred to as a pre-shipment inspection, this certification verifies that the product conforms to the relevant standard by testing and inspecting prior to shipment from the exporting county. PSI regulations change often, and contracts for pre-shipment inspections are reviewed periodically. Exporters can contact the Commerce Department’s Trade Information Center at 1-800-USA-TRAD(E), inspection companies, or freight forwarders for more information on current regulations. WHO CONDUCTS THE PRE-SHIPMENT INSPECTION AND WHO PAYS? Inspection costs are generally paid either by the importer or by the government of the importing country. However, in some cases, the inspection agency may invoice the seller in the event of supplementary inspection visits. The costs associated with presenting the goods for inspection (such as unpacking, handling, testing, sampling, repackaging) are the responsibility of the seller. WHO IS RESPONSIBLE FOR ARRANGING THE PRE-SHIPMENT INSPECTION AND WHAT IS THE PROCESS? Although the importer is generally responsible for arranging the pre-shipment inspection, the exporter must make the goods available for inspection in the country of origin. 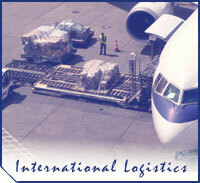 Delays in the process can lead to problems with the shipment and/or increased costs for the exporter. Therefore, it is in the best interest of exporters to work with their freight forwarder to ensure that all information is accurate and is provided to the inspection company immediately after notification of the requested inspection. Requirements for pre-shipment inspections are sometimes spelled out in letters of credit or other documents. Generally, the inspection company starts the inspection process once it receives a copy of the inspection order from the importing country. An inspection order states the value of goods, the name and address of the importer and the exporter, the country of supply, and the importer's declaration of customs code. The inspection company then contacts the exporter to arrange an inspection site and time. 1. The importer opens an import document or license. 2. The importer informs the inspection service in the country of import of a pending shipment, and either pays for the inspection up front or pays a percentage based on the value of the commercial invoice, depending on the terms of the importing country's inspection contract. 3. An inspection order is forwarded to the inspection company office in the country of export. 4. The inspection company contacts the exporter to arrange date, time, and location for inspection. It also requests all required shipping documents and price information (invoices). The exporter must provide these documents in a timely manner to avoid demurrage or other penalties. 5. The inspection is performed. 6. If no discrepancies are noted during the inspection, and once all final documents are received from the importer and exporter, a “Clean Report of Findings” is issued confirming the shipment’s value, customs classification, and clearance. The final documents required for issuance of the “Clean Report of Findings” vary by contract but most often include a final invoice and bill of lading or airway bill. 7. The goods are shipped to the importing country. 8. The importer uses the inspection report to get the imported goods released from customs. If goods reach the border of the importing country without inspection, they usually have to be re-exported to a nearby country for inspection prior to re-entry or are subject to heavy penalties. WHAT SHOULD I DO IF A PROBLEM OR DISAGREEMENT ARISES WITH THE PRE-SHIPMENT INSPECTION? If a disagreement arises on the findings of the pre-shipment inspection, a resolution to the discrepancy should be negotiated with the inspection company. However, if exporting to a World Trade Organization (WTO) member country, the WTO Agreement on Pre-shipment Inspection spells out the responsibilities of the exporter and the inspection company. The Agreement requires the inspection company to appoint an appeals official and comply with the Agreement guidelines when carrying out their pre-shipment inspection services for signatory countries. Detailed information on the Agreement is available online http://www.export.gov/tcc or by contacting the Office of Multilateral Affairs within the Department of Commerce at Tel: (202) 482-0603. ARE THERE ADDITIONAL CERTIFICATION INSPECTIONS THAT DEAL WITH AGRICULTURAL AND FOOD PRODUCTS? Several agencies within the U.S. Department of Agriculture provide inspection services when certificates are required to clear agricultural and food products through overseas customs. Sanitary and phytosanitary certificates, which are normally issued to protect U.S. consumers can also be used for international trade purposes. The Federal Grain Inspection Service (FGIS) conducts inspections of grains, pulses, oilseeds, and processed and graded commodities. Export weighing and quality inspection at the time of shipment is mandatory for bulk or bagged grains and oilseeds under the U.S. Grain Standards Act. Per NAFTA, non-waterborne shipments bound for Canada and Mexico are exempt from mandatory inspection. FGIS is required by law to perform these inspections (for a fee), and they provide the only “official” grain quality and quantity inspections in the United States. However, some contracts may specify that a particular private firm must perform an inspection, as well. For more information about grain inspection, please visit www.gipsa.usda.gov. The Animal and Plant Health Inspection Service (APHIS) assists exporters in meeting the plant quarantine import requirements of foreign countries. They conduct inspections to certify that certain products, such as fruits, vegetables, plants, seeds, grains, and grain products are free from quarantine pests and meet the phytosanitary regulations of the importing country.